PaaS gives command line access, we can change setup to some extent; like for Heroku Cloud, we can Specify the Webroot from Apache httpd File. Obviously, there are various iOS App hosting options, practically from bare metal to simple virtual private server. For some Applications, however root access might be mandatory and shared hosting is not a valid option. Additionally shared hosting, has some typical issues like longer outages. Unless the App is targeted for a larger audience, there is no need of costly dedicated hosting, instead flexible one server cloud setup with 512MB to 2 GB RAM is enough at lower cost – these are typical IaaS. One can choose from Rackspace, Amazon or HP Cloud, depending on the need. Rackspace has an additional support level, which is actually good for us as we have lot of websites, for one App, $100 USD / mo. only for support probably will be out of budget for the most. What are the hosting needs for the particular iOS App, is important to give importance. This is a new feature which came with iOS 6 development cycle, you can have Apple to host your content, such as images and videos. If you are looking to support anything below iOS 6, then you should select no (assuming you have content that needs to be hosted), if your in App purchase does not need to download anything, then just select no. This actually provides the option to host the content associated with a server based in-app purchase on Apple™s own App Store servers. 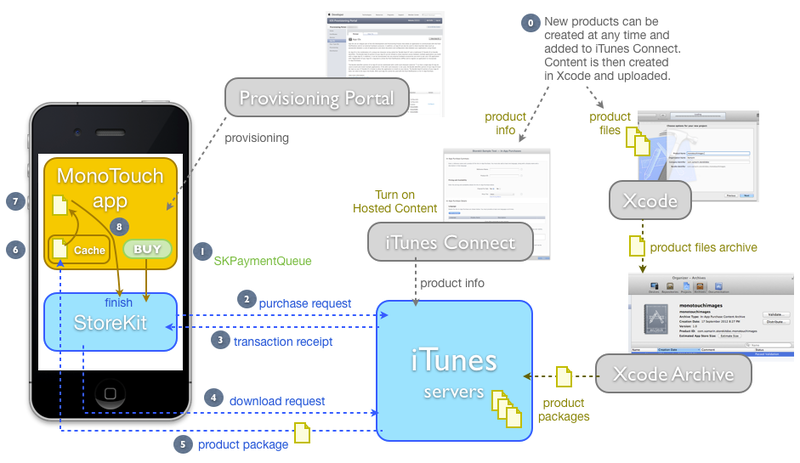 This service is provided by Apple to the application developers at no additional cost. Prior to iOS 6, it was the responsibility of the developer to set up and configure a server based system for server based in-app purchases. We are avoiding this part because assumably the reader is searching for own webhost either for testing or for real full or partial deployment. The technology you use to implement the REST services will have a far less significant impact on performance and hosting costs than the way you use HTTP. Learning to take advantage of HTTP is far more than simply learning how to use GET, PUT, POST and DELETE. Use whatever server side technology you already know and spend some quality time reading the RFC2616 specification. You will save yourself a ton of time and money. This Article Has Been Shared 2009 Times! PostgreSQL on Mac can be installed very easily either by downloading and simply double clicking to install it or you can install with few lines of commands. Cite this article as: Abhishek Ghosh, "iOS App Hosting : Comparing Various Options," in The Customize Windows, December 21, 2013, April 25, 2019, https://thecustomizewindows.com/2013/12/ios-app-hosting-comparing-various-options/.